Yusuf Ali (SAN), an Ilorin-based legal practitioner, author and philanthropist, has donated 3m naira to the Association of Nigerian Authors (ANA) towards the eight edition of ANA/Yusuf Ali Nationwide Literary Awareness Campaign. Confirming the donation, Wole Adedoyin, ANA’s Publicity Secretary (South), said the money had been received by the association. The grant was first secured by the National Exco of ANA in 2012, with all state chapters of the Association receiving sub-grants, at various times, between 2012-2014, for local literary awareness campaigns involving secondary schools across the country. In 2015, the grant was applied by the then National Executive Council of ANA to host a workshop on fiction writing in Abuja in which about 25 students, drawn from tertiary institutions across the country via a competitive process, participated. In 2016, the Denja Abdullahi-led National Executive Council of ANA took the literary awareness campaign a notch further by focusing on innovative literary awareness campaign among tertiary institutions across the country through the state chapters. The grant was used in 2017 to publish three children’s literature titles under the Nigerian Writers Series (NWS), which have been distributed to chapters of ANA nationwide to power ANA ‘s A-Book-A-Child nationwide project that was flagged off at the association’s 36 th International Convention, which held in Makurdi, Benue State, in October, 2017, and the Phase 2 of it launched by the wife of the Governor of Ekiti State, Erelu Bisi Fayemi, at the 37 the International Convention of the Association held in Ikeja, Lagos, last year. The 2018 grant was deployed to facilitating a comprehensive media supplement on the projects executed with the yearly grants over the years and an intensive workshop for 15 selected chairmen of ANA chapters focusing on “Innovations in Contemporary Literary Awareness Campaigns” to deepen the execution of the project in the coming years. The association has revealed that the 2019 grant would be devolved to selected state chapters to carry out innovative and cutting edge literary awareness campaigns in their domains as contained in the capacity building workshop held in Ilorin in 2018. 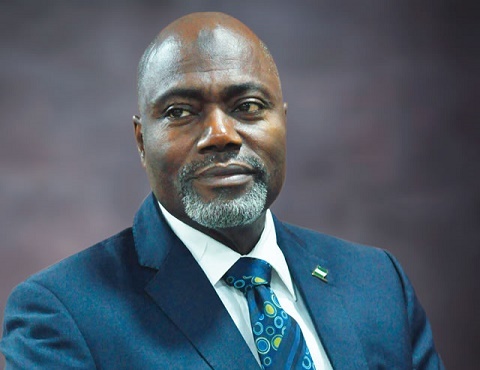 Yusuf Ali, who, in 2015, promised to sustain the annual grant to ANA for life, is a Nigerian lawyer who was called to the inner bar as a Senior Advocate of Nigeria in 1997. He attended the University of Ife (now Obafemi Awolowo University, Ile-Ife), and is the Principal Partner at the Law Firm of Yusuf O. Ali &amp; Co in Ilorin. His reputation in the Bar has been balanced by a deep interest in literature which has seen him supporting the Kwara State Chapter of the Association of Nigerian Authors, as well as serve as an Editor-in-Chief of the Nigerian Bar Journal. He is also an associate lecturer at the Faculty of Law of the University of Ilorin. “We thank Yusuf Ali (SAN) for his consistent and yet-to-be matched generosity in supporting literary awareness in the country, and we call on other well-meaning Nigerians to emulate his gesture of support for the literary arts,” said the association.